In Punjab, there is always a game of one-upmanship between the Shiromani Akali Dal (SAD), which claims to be the guardian of Sikh traditions, and its arch political rival, the Congress, which has its own agenda. The fight is to garner Panthic votes or those from the devout Sikh community. Sikhs constitute about 40 percent of the voters in the state and the two political rivals go to great lengths to woo them. And part of the strategy to woo the Panthic vote is the assembly unanimously passing a Bill recently for an amendment to the Indian Penal Code (IPC) and Code of Criminal Procedure (CrPc) to make acts of sacrilege involving all religious texts. It is obvious that both the Congress and SAD are on the same page on the issue. 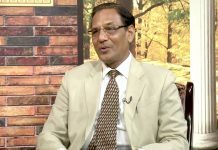 The Indian Penal Code (Punjab Amendment) Bill, 2018, which was passed, has inserted Section 295AA to provide that “whoever causes injury, damage or sacrilege to Sri Guru Granth Sahib, Srimad Bhagwad Gita, Holy Quran and Holy Bible with the intention to hurt the religious feelings of the people, shall be punished with imprisonment for life”. The SAD, led by former Chief Minister Parkash Singh Badal’s son Sukhbir Singh Badal, has been touting itself as the representative of the Sikhs. Undoubtedly, the party has a stronghold over the Shiromani Gurdwara Parbandhak Committee (SGPC) which is considered the mini-parliament of the Sikhs. For some time, however, there have been indications of the Panthic vote moving away from it. The party in 2016 had been attempting to ensure that only baptised Sikhs could vote for the SGPC and had taken the help of its coalition partner, the BJP, at the centre to bring in an amendment to debar non-baptised Sikhs from voting for the organisation. The matter is now under judicial scrutiny. The party had earlier faced serious criticism when the Sikh clergy, under the control of the SGPC, had announced a controversial pardon to Dera Sacha Sauda chief Gurmeet Ram Rahim Singh for his alleged act of blasphemy. The action had led to state-wide protests. 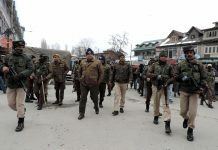 Subsequently, a series of incidents of sacrilege were reported from across the state and two protesters were killed in police firing. The Congress, under Chief Minister Capt Amarinder Singh, has been trying to lay ambush to the Panthic vote. It is not that Sikhs vote only for the SAD; the Congress too has been attracting a substantial chunk of Sikh votes, but Capt Amarinder Singh has been trying to be “more Akali than the Akalis”, as a political observer put it. One instance of him pandering to religious sentiments was when, on the eve of assembly elections, he took a public oath on a gutka (holy book of the Sikhs) that he would check the drug menace in the state within four weeks of coming to power. He also announced that he would bring those culprits to book who had indulged in acts of sacrilege involving the Guru Granth Sahib. It was a spate of incidents relating to sacrilege of the holy book in late 2015 that had placed the then ruling SAD-BJP in a corner. It was obvious that a particular group of people was deliberately involved in the frequent acts of sacrilege. The government appeared clueless, although the needle of suspicion pointed to followers of Dera Sacha Sauda and leaders in the Sikh community who wanted to embarrass the government. 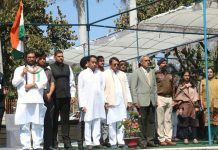 The Congress was also baying for the blood of the government as assembly elections were within sight. 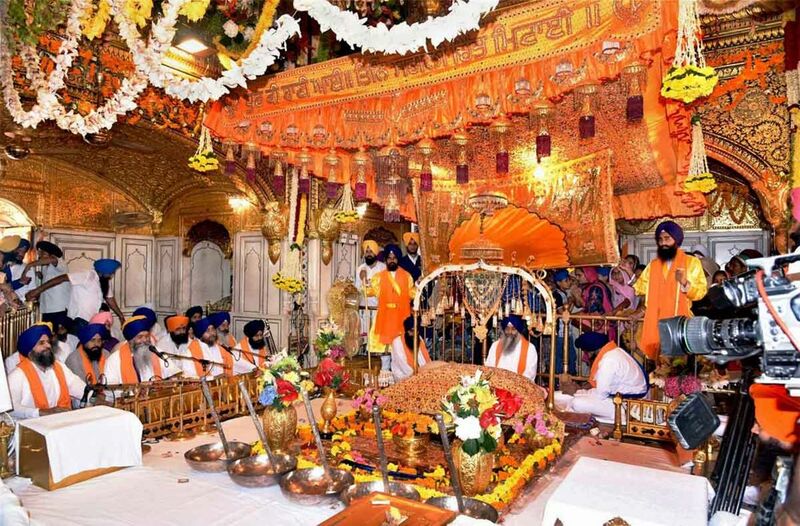 This is what forced the coalition government to then bring in a bill in the assembly seeking stringent punishment for those responsible for desecration of the Guru Granth Sahib. The Congress, then in opposition, could not have afforded to oppose the move and therefore, the Bill was passed unanimously in the assembly on March 21, 2016. The governor sent it for presidential assent as it required changes in the IPC. 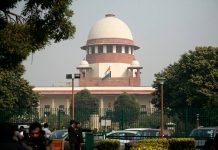 The Union home ministry, however, returned the Bill with the objection that it singled out a particular religion and was against the concept of secularism. Capt Amarinder Singh, who led the Congress to victory last year, didn’t forgive the Akalis or forget his demand for punishment to those involved in the spate of incidents of sacrilege in 2015 and set up a judicial commission to probe the incidents. The report, presented in the House recently, indicted the previous government and asserted that former Chief Minister Parkash Singh Badal was aware of the tension building up. The report recommended action against the police officers responsible for letting the situation go out of hand. The government also decided to take back the inves­tigations from the CBI which was entrusted with investigating the incidents by the previous government. It was clear that Capt Singh would try to milk the issue and open a time-bound inquiry into the incidents. SAD president Sukhbir Singh Badal has described the report and the action as a case of “political vendetta”. He said that the “real motive of the report is to render the Sikh community leaderless. It’s a cheap drama written, produced, directed and choreographed by Capt Amarinder Singh and his men”. The political slugfest over the issue is likely to continue even though the Bill passed by the state assembly is likely to face the legal test. Next storyClinical Establishments Act, 2010: Cracking the Whip!